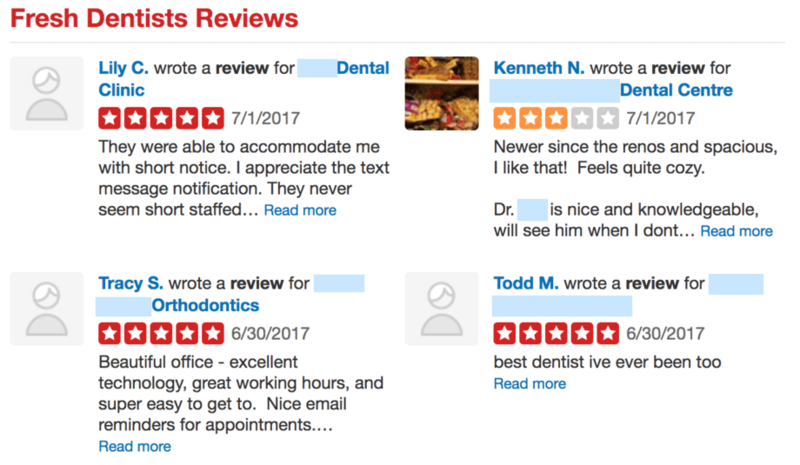 Dental office advertising is something which can benefit hugely from an online presence – particularly when it comes to online reviews. Dental health is something which everyone should be aware of, especially since it can affect so many other aspects of a person’s general health (and appearance). Dentists are something like doctors and lawyers in that people tend to seek out practitioners who make them feel comfortable; hence a good online presence is invaluable. 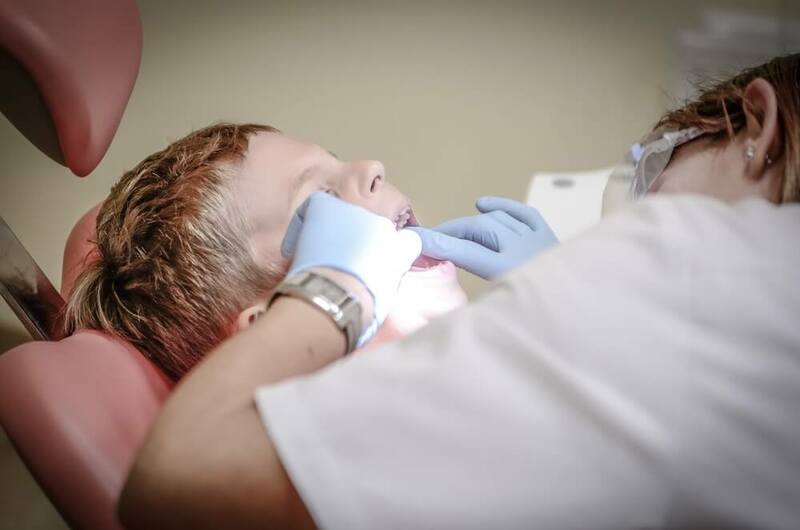 Over the years, our company has worked on a number of campaigns for individual dentists and dental clinics, so we have a fair amount of expertise in working with the specific needs of these groups. Our dental clinic advertisement has all followed something of the same form: search engine optimization has formed the basis of them all with the ultimate aim of both increasing traffic in general and the ongoing customer base in particular. 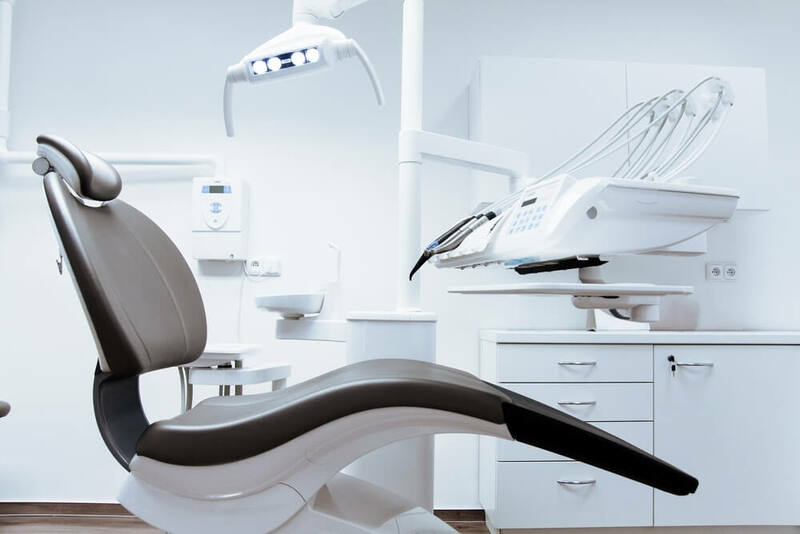 One of our recent dental clinic advertising campaigns also included such a fast way to increase an online presence and hence sales as a Google AdWords campaign, and reviews management to enhance the trust of prospects. The results of managing one of our recent dental office advertising campaign have been as follows: even with people thinking that AdWords campaigns have cost too much money to be entirely effective, within a week we managed an AdWords campaign for a dental clinic with $450 spent. The campaign resulted in a definite rise in conversions. Our client received 19 phone calls to the office, 6 of which turned prospects into clients. Also, a set of steps within the framework of search engine optimization for dentists and reviews management allow us to increase dentist’s site traffic by 3.6%. In a nutshell, such a combined method of advertising resulted in increasing sales of our client by 57%. Running AdWords campaigns is one of the best marketing tools in existence when it comes to how to advertise a dental clinic, as it can help sales and customer retention grow by up to four hundred percent. Despite these numbers, they are still used by less than half of the companies and individuals to which they would be most relevant. While an entire process of managing a campaign may seem daunting, setting up an AdWords campaign is not a difficult task. The difficulty lies in making it a profitable campaign, but the tips below (plus some advice from a dentist SEO expert) will make that more attainable. The more information you can give prospects in your dentists’ marketing campaign, the more likely it is that they will choose you over another specialist who offers the same services. In every single advert, make sure that as much information as possible is present. This includes relevant information about services, the location of the company, and anything else appropriate for the topic. For instance, if you have more than 20 years of experience it is a must to include. Do not generalize – you are wasting space and money! Generalizing is the worst answer to how to advertise a dental clinic. Even with the additional space given by advert extensions, headlines are still the most important part of an advertising campaign. Headlines are what people notice first, with the first headline being of particular importance for this reason. If there is anything which puts your business into a special category or makes it stand out from others in the business, make sure to include it in the advertising campaign. For instance, if your dental office works on Sunday you need to inform prospects and clients about it in your ad. Any good AdWords campaign for a dentist should include a good call to arms to get people excited to act. Calls to action can be anything from moving someone to phone right now and book an appointment, to spreading the word about the existence of the dental surgery to others. A call to action is useful to have as, when done right, it impels prospects into making the decision to become customers. Also, you can offer a discount or a special offer as a part of a call to action (e.g. Call us today and get a free whitening kit!). Sitelinks are almost exactly what they say on the tin – they are links to specific pages within sites, which the person running the campaign thinks will be beneficial to the overall dentist advertising. Using a sitelink extension brings a whole new dimension to the question of how to attract new patients to your dental practice, as it allows your company to choose several different page destinations for a potential customer to see. Perhaps they could be chosen from a list of services, the homepage, and the appointment page and price page, or whatever is needed to be emphasized. Review extensions is a way of incorporating a review directly into an AdWords campaign for a dental clinic – it expands the space available on an advert and gives the company running the campaign a chance to apply to people on its own terms. Rather than having the people who will see the advert going to a review site of their own accord, including a review directly in the advert will build confidence, and make it more likely that people will click on the advert itself. Call extensions are mainly used in mobile devices when people have an immediate need for searching dental services. This extension allows prospects to make contact with the business or individual via a phone call. Prospects just type a phrase like ‘dentist near me’, see your advert and call you directly from an ad. Negative keywords are just as fundamental to the workings of an AdWords campaign in the framework of dentist SEO marketing as positive keywords are. Top positive dental keywords, in this case, are how the AdWords campaign knows to turn up on searches. Having positive keywords is vital for an AdWords for a dental clinic to work correctly, as it is these keywords which will trigger the adverts appearance. • ‘Dentist’ – this is too vague and can include marketing to dentists as well as the hoped for audience. • ‘Discount’ – make sure to put this as a negative keyword unless you are offering discount services. Otherwise, a lot of money will be wasted on people who click the adverts under false pretenses. When building a list of negative keywords, we usually add between 70 to 300 words and phrases in order to prevent showing an AdWords ad to those who are not dentist’s potential clients or who just need some information instead of services. Proper location settings allow search engines to better link up adverts with people making appropriate searches. If you use Google AdWords in Canada, you will have two ways in which location setting can be set up to the advantage of a dentist advertising campaign. One method is the use of specific keywords to restrict the searches on which an AdWords for a dentist will appear, meaning that only people who add location keywords (e.g. ‘good dentist in Vancouver’) into their search will see the campaigns. The other method – which is more commonly used on mobile searches – is something which uses the built-in location services of the search engines themselves to streamline the process. So, for example, someone who is in Chicago and is using their mobile device to search for dental practices will not have adverts for dental clinics from Canada appearing. People use mobile devices differently from desktop ones, and there are two separate ways in which to use this when it comes to how to promote a new dental clinic: one way is to create adverts which are able to adjust themselves according to what device they find themselves on; the other is to create an entire set of adverts which are specifically designed for use on mobiles. It should really go without saying that a close eye should be kept on the advertising campaigns; this applies to before and after the campaign goes live. Test the campaign thoroughly before it goes online – each advert should have a minimum of five different texts tested on it, to see which ones look the best, and which ones work with the space available, and which match types work the best. While the campaigns are running, keep an eye on how they are performing. Being able to tell which adverts are leading to the most conversions and which adverts are leading to the least will be beneficial when it comes to reallocating funds between the campaigns. A remarketing campaign which targets specific people (mainly based on their interests) is something which invaluable for any campaign. Remarketing targets people who have gone through the process of ordering something from a page or just visiting a contact page, but, for whatever reason, have not finished. The particular campaign is based around trying to win them back. Using the remarketing campaign in our last AdWords campaign for a dental office resulted in a nearly 35% increase on ROI. Search engine optimization for dentists is perhaps one of the most complicated methods of online marketing, but for long-term purposes, it is one of the best methods for growth. We normally optimize sites with the best content possible that is client-oriented. For dental websites, in particular, we focused on how the clients would be looking for the services in question: our work began by doing thorough research into the keywords that customers would use. This research was put into good use right away, when it came to writing headlines and tags in particular, to make it more likely that the content would be seen. We also used link building to increase visibility in the Google search results and hence to grow traffic as it is one of the main goals of dentist SEO marketing. While working on the site itself, we (as experienced dentist SEO experts) always took the time to make sure that the site is easy to navigate and understand, so prospects were not put off by a seemingly impossible website. Our research included research into competitors, for a variety of reasons: one, to see how they approached reaching out to customers, and two, to see what keywords they used to attract attention. Also, we encouraged our clients to use local marketing as well, and to use social media platforms to interact with people, depending on which one was most appropriate for them. 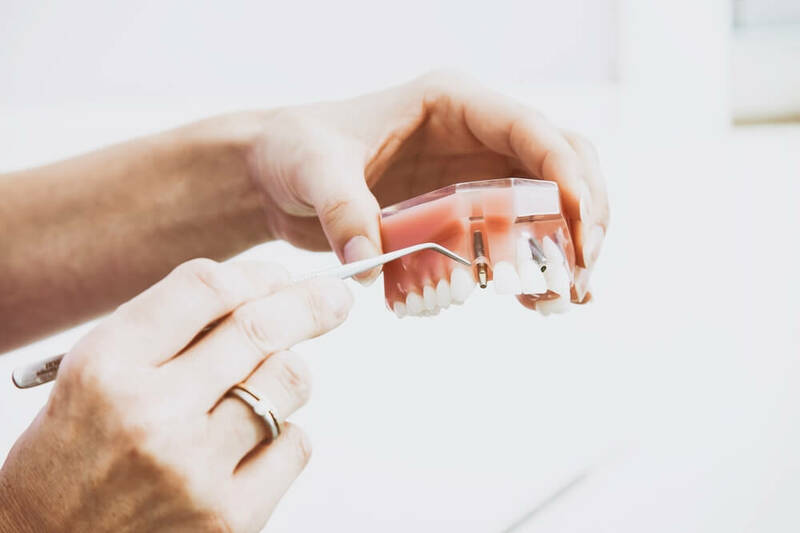 Reviews are very useful for businesses and individuals as dentists because many prospects and clients use review sites to ensure that they are getting the best teeth care and treatment for their money. Review correction services are something which has sprung up in response to the increasing reliance on review sites. What happens is that such services keep an eye on the reviews which are connected to the service at hand, and flags any reviews which look like they are fake. Since a company relies on reviews for a good reputation, having someone flag these reviews up as quickly as possible is necessary for work to be done on combatting them. There are a number of good review sites in existence, but Yelp is perhaps one of the more well-known as used ones. When it first began, Yelp was originally just a review site which gave people a place to leave multiple part reviews which covered text and pictures (people can leave star reviews – one star is bad, five stars is excellent; they can also leave text reviews of varying lengths, and add pictures if they choose), but it is recently moving into allowing people to make reservations through it as well. One of the major answers to how to increase patient volume in a dental office is to cultivate good reviews. Reviews help people to decide how trustworthy a business is, so good reviews are essential to the process (particularly if the services provided are medical in any way). In some ways, even the existence of a review channel will be enough, as it will show people that the service is confident enough in themselves to have a place for people to leave reviews. Having a review page which is specifically linked to in either adverts or an online presence can be useful in increasing conversions. Marketing a dental practice is something which can take many forms. Running an AdWords campaign and doing SEO for dentists is something which can take a lot of time but in the end, it is worth it. Every action taken is one which can increase visibility and conversions, thus leading to a more successful business in the end. AdWords campaigns should involve multiple advertising groups and a specific remarketing campaign to be successful, while the SEO approach (if done correctly by dental SEO companies) should ensure that the entire website is configured to be properly seen by search engine algorithms. Call us today to get new clients and increase your sales by 60%! Best dental marketing company is here to grow your business. How to Withdraw USD from Your PayPal Account into a Canadian Bank? Is PPC an Effective Tool for Brand Building?